MP3 tag editors are those software media players which are used to change the music meta data. Meta data is defined as the data which provides the access to the other data. 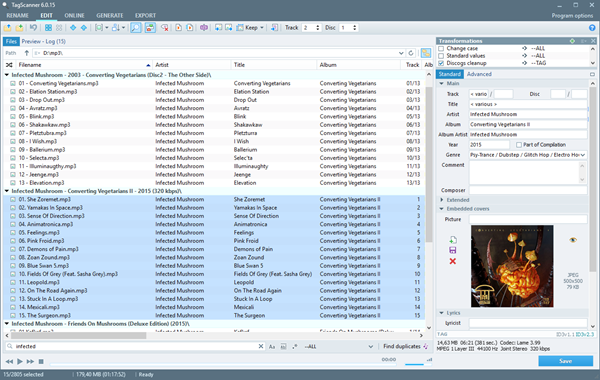 These software media players have an built-in feature of editing MP3 tags. They can easily edit the information regarding the songs such as the song title, the song composure, the song genre, the artist name and some more data which are directly or indirectly related to the song. Now, if you want to change the tag information of music files, then these MP3 tag editors which are listed below will really be helpful for you. Tip: If you like listening to music on Spotify and want to download your favorite music from Spotify, you can get help from some best Spotify music downloaders. And if you like music on YouTube and want to download them into your Android device, you can turn to some YouTube audio downloaders for Android. Basically, tag editor will change the meta data information so this change will be reflected in the information of the other songs too. The advantage of using MP3 tag editor is that it saves your time and works efficiently and effectively as per your requirements. You can have a quick look at the list below and choose one tag editor which you desire most according to your needs. Every tool has its own features and drawbacks, so please choose it wisely. We had made our best efforts to gather the information regarding these tools to help you in an effective manner. Now, let’s start! Mp3tag is one of the best MP3 tag editors which is quite good in this segment and has served this facility to its users for many times. This software is the most trustworthy because of its magnificent feature for free. This software is a Windows-based meta data editor in which you can trust blindly. Not only the MP3 format, it also supports MP4, WMA, AAC, OGG and FLAG formats too. This feature of supporting multiple formats makes this software a very good choice among users. Besides, it is a versatile tool searching for the online meta data from the FreeDB, Amazon, Discogs and MusicBrainz. When talking about the user-interface of this software, it is also pretty appealing as it’s quite attractive in terms of graphics and small size. You can do the batch tag editing with Mp3tag, and you can also download the cover art to edit it because Mp3tag can also work as a MP3 album art editor meanwhile. This function will make the overall look pretty attractive. But, there are also some limitations you should consider about it. Mp3tag doesn’t automatically save the changes made by users, and it doesn’t allow to make the changes in the lyrics of the songs. 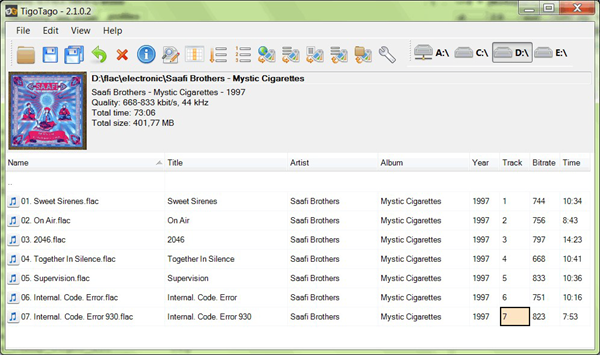 This is another MP3 tag editor which can be used to alter the tag information of many files simultaneously. This ultimately saves a lot of time as changing the tag information of files one by one will consume much time and is pretty annoying as well. Just like Mp3tag, TigoTago also supports various formats other than MP3 format such as MP4, WMA, WAV, AVI, etc. Presence of a lot of organizational tools will make your job even easier than expected. Besides, there is only one language which is supported in this software. Talking about the user-interface, you will find it a bit confusing and annoying as well. 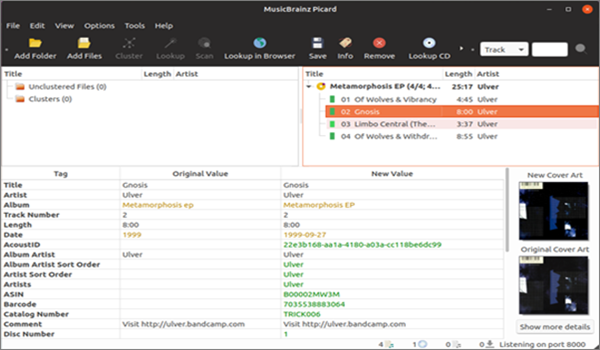 MusicBrainz Picard is an open-source software, which means it can be installed in various types of operating system like Windows, Linux, macOS, etc. You will find its user-interface pretty good if you use this software in Windows compared to macOS. It works in quite different manners in comparison to other MP3 editors. 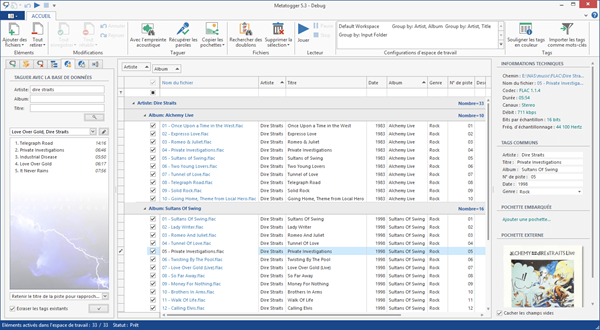 This tool simply focuses on grouping audio files into the albums. But it doesn’t mean that it cannot change the tag information of the single entity. If you want to change the tag information of the bulk files or the single files, you can use this software. This software also supports a variety of formats like MP3, MP4, WAV, FLAC, etc. Overall, this is an excellent tool which you can use if you are finding MP3 album art editors. TagScanner offers multiple features to its users, but its user-interface is not so attractive as other tools stated above. This software comes with the in-built music player. It automatically looks for the databases of the music data online. Based on the database, it also automatically changes the name of the files according to the existing tag information. Its features of exporting the files and playlists as HTML and Excel spreadsheet help it make a list in a proper manner of your favorite music songs. And this will make the access to the information of the songs quite easy for users. Tip: If you need to play music on Discord with Discord bots, you can refer to the steps provided in this article. This is one of the best MP3 tag editors which is compatible and useful to change the lyrics of the songs which can be searched and added to the music library automatically. There are many formats supported by this tool such as MP3, MP4, FLAC, OGG and so on. Its user-interface is pretty good, but this editor requires the Microsoft .NET Framework 3.5 for its functioning. MetatOGGer is used by thousands of users and it also has got wide acclaim. Tip: In order to extract audio in any video, you can convert video to audio in MP3, M4A, WMA, WAV, AC3 format with this Video Converter. These best 5 MP3 tag editors are definitely good choices for you. Every software package has its own pros and cons which can be taken into consideration while you are selecting the most suitable one from them. There are many tag editors for changing the tag information in the field of music integration and they are definitely assets for you people to accomplish this task. You can share your experiences with these tools in the comment section so that if you encounter with any problem, then we can try our best to resolve your issue as soon as we look it.